I woke up to see cloudy, moist conditions, and thought maybe that it would rain. I don’t think I would have minded the rain, because it would have kept me cool and shady today, but the sun came out and it turned into another hot day. I crossed a bridge from the Portsmouth area to a lazy little place called the Isle of Wight. The sign said founded in the 1600s. Then I illegally crossed the wide James River (The bridge was closed to bicycles), took a pleasant break at a church with an outside water spigot (And a port-a-jon across the street… who could ask for more? 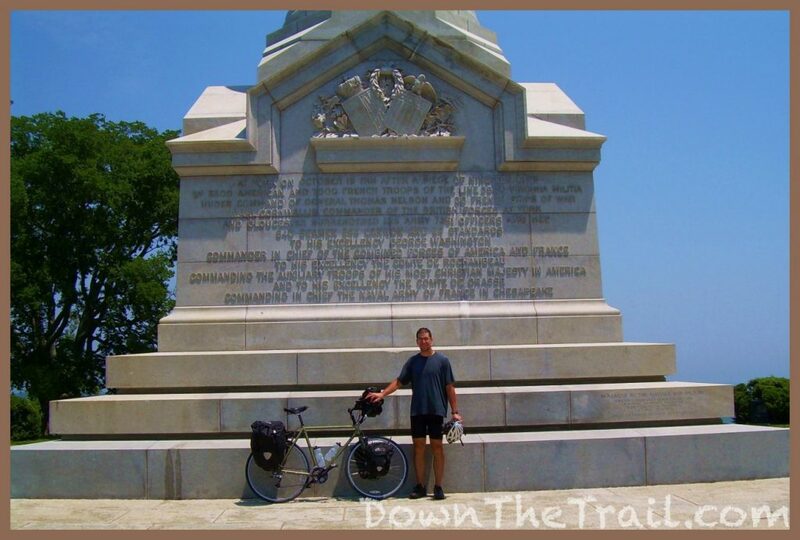 ), and made my way to Virginia’s “historic triangle” …and finally The TransAmerica Trail. 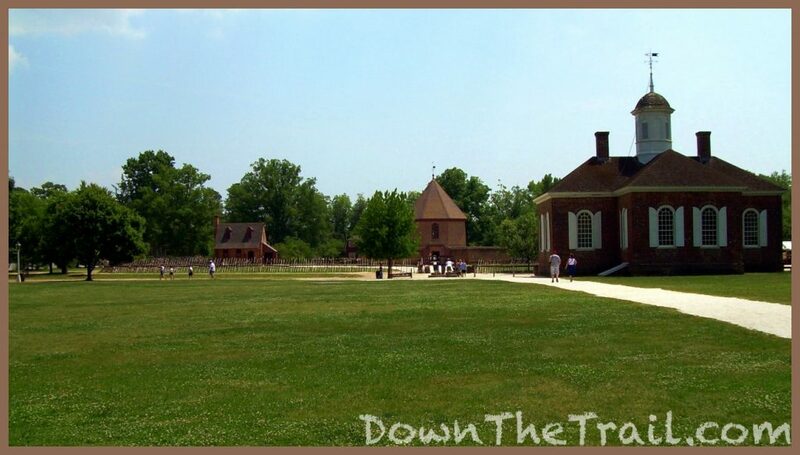 The TransAmerica route begins on the coast of Yorktown, and then goes through Williamsburg and Jamestown. 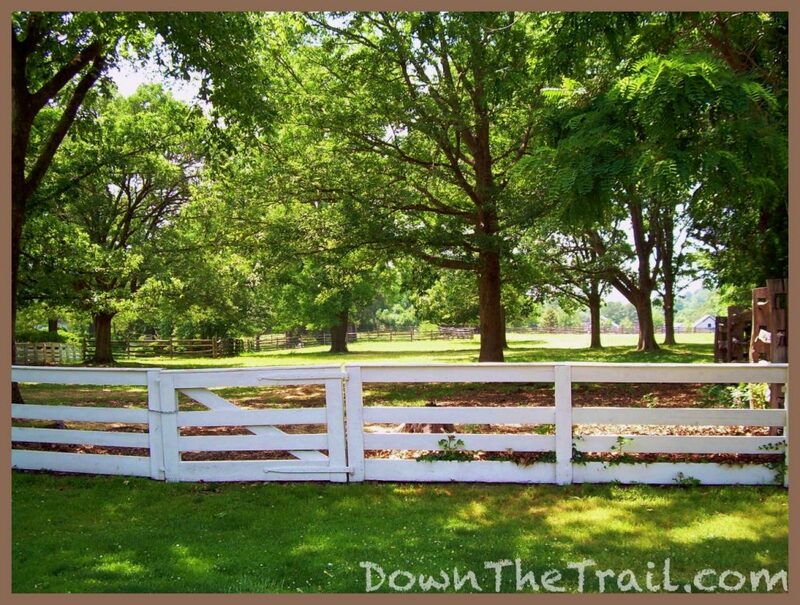 There’s a lot of colonial history in this area. 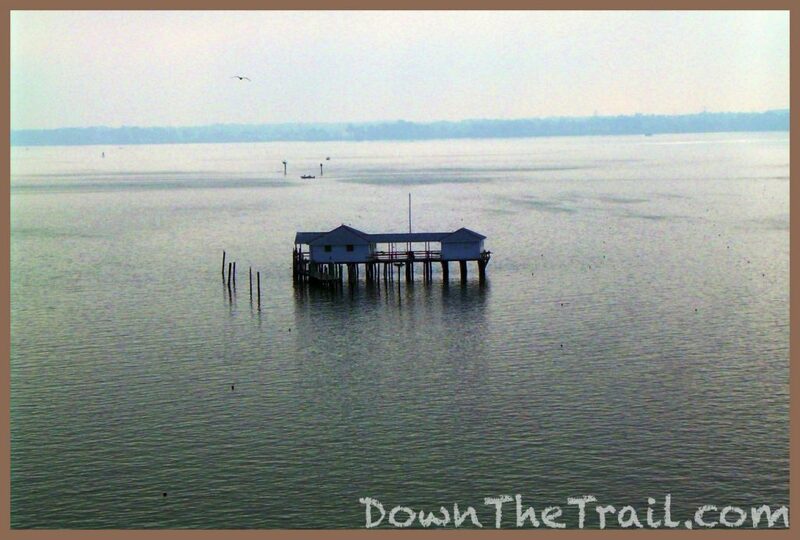 Yorktown is where British General Cornwallis officially surrendered to George Washington in 1781 to end the Revolutionary War. Cornwallis was under siege, trapped by Washington at the coast with the French Navy blocking his escape. The Transam route officially begins at the monument here. 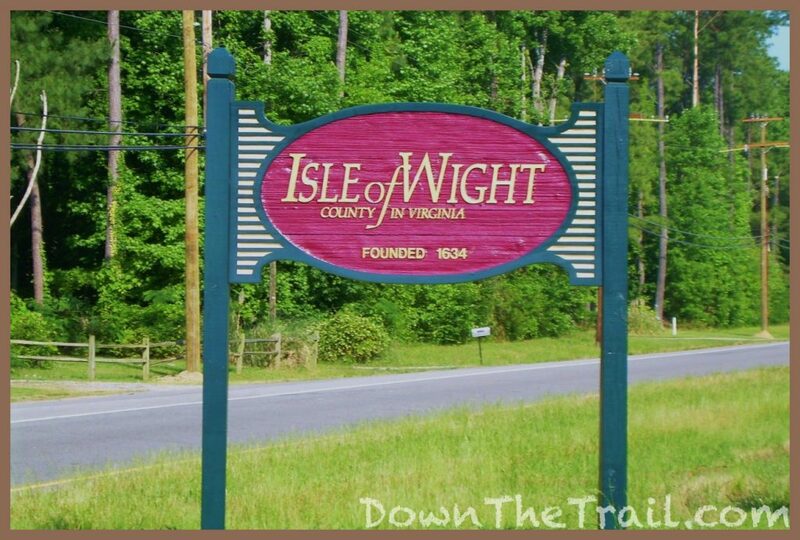 I left Williamsburg and rode along the Colonial Parkway past Jamestown, the first successful British settlement in America. Any American History buff would have a great time here. 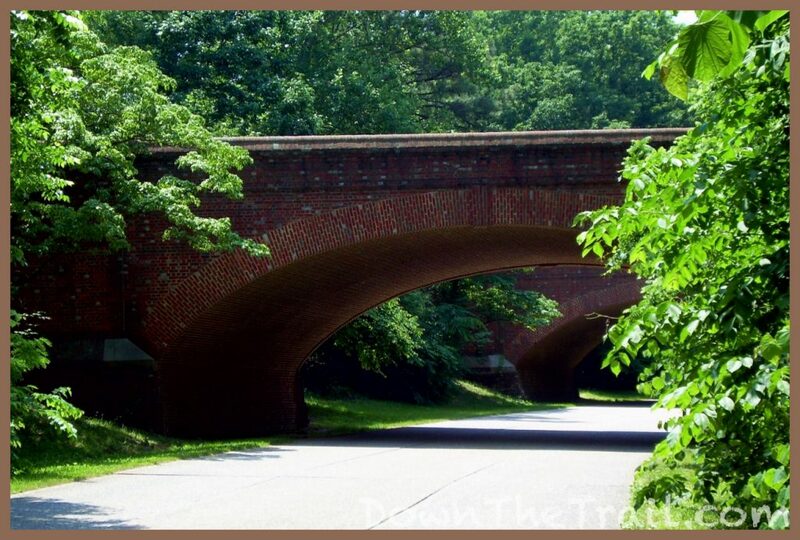 And so I was having quite a nice day, finally on the TransAmerica route, heading west into the green Virginia countryside on a shady road among numerous picturesque plantations. Then I noticed that my rear wheel seemed a little too bouncy. Sure enough, the tire was slowly losing air and going flat. I found a nice spot to work and had a look, thinking I could find the leak and throw a patch on it. Wrong. The leak was right at the base of the valve. I had used my only spare tube back in the Outer Banks. I told myself that I would pick one up at the first bike shop that I’d pass, but the few shops that I saw since then were closed for the Memorial Day weekend. So basically I was miles from town with a flat, with no means of repair. It was after 6pm, and darkness would be closing in fast. The only food I had on me was a third of a jar of peanut butter, and one bagel. The map said there was a bed and breakfast 5 miles down the road. It was pretty much my only hope for a place to stay, save for stealth camping on signed private property… but that wouldn’t have been any good anyhow, because I knew I’d have to manage to get a ride to some place with a bike shop tomorrow – most likely ahead to Richmond. All this at the end of a 75 mile day. It was a long five-mile walk. Finally at about 8:30pm, just as the sun set, I came to the house with the bed and breakfast and rang the doorbell. A woman came to the door, and I her told my situation. Turns out that the B&B is actually an apartment in a separate building over the garage, and she let me stay. My attitude was low after the long walk. Before taking a shower, I looked in the mirror and saw a sorry sight – dirt on my face, skin peeling on my forearms, a colored face and white forehead from my helmet, a burned back, and numerous itchy bug bites. I watched some mindless TV and went to sleep. Life is good, but it’s a good idea to carry a spare tube. 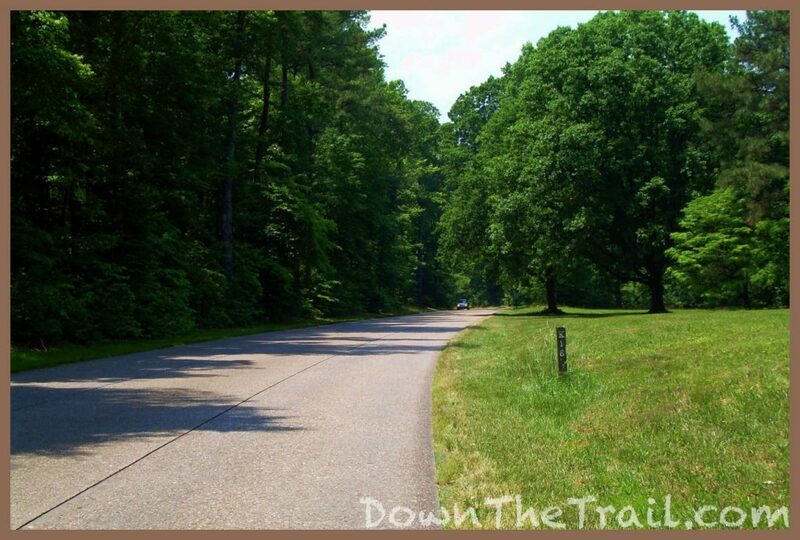 Managed by the National Park Service, the Colonial Parkway is a National Scenic Byway that was completed in 1957. It was a slightly bumpy ride for a bicycle.